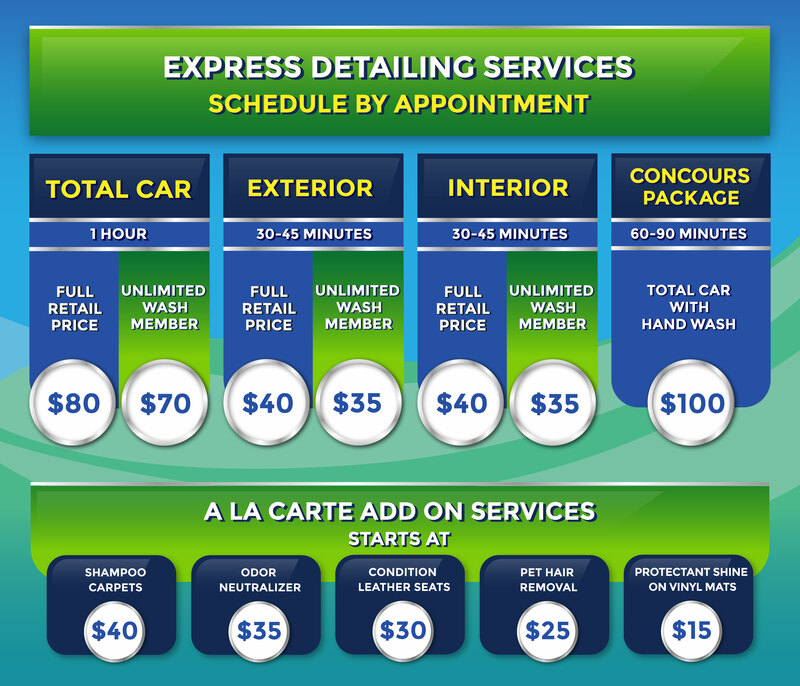 Whether you want a classic car wash or a full detail we’ve got you covered with transparent pricing & no hidden fees. Choose a package belowand get it! Yes, it’s that simple. What you book is what you get. Sometimes there are additional charges for larger vehicles. At the time of your appointment we will review you car and alert you to any additional charges. Prices for additional service will be quoted at vehicle inspection time. *Larger Vehicles & Minivans subject to additional cost.